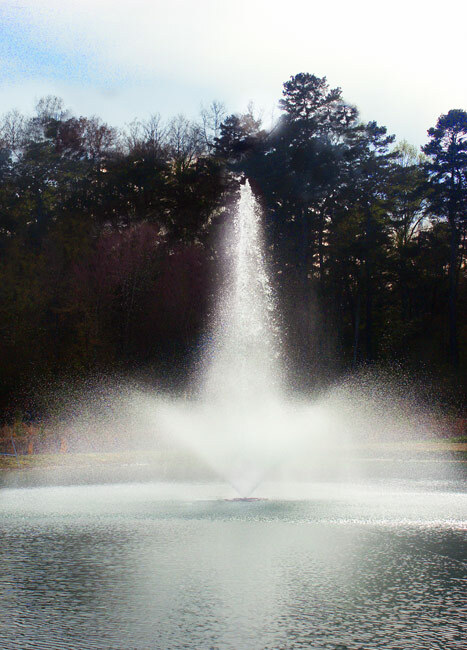 Kasco Marine�s 3.1JF (Single Phase) and 3.3JF (3 Phase), 3 hp Floating Decorative Fountains provide the power needed to adequately aerate larger ponds and provide eye-catching decorative displays. Each 3.1JF & 3.3JF is supplied with 5 different interchangeable nozzles, providing you with the versatility of 6 different patterns for displays of up to 24 feet in height or 45 foot in diameter. You can easily change nozzles to fit the specific pond dimensions, wind conditions and the desired aesthetic effect. The 3.1JF is available with an extremely efficient 240 volt Single Phase, 60 Hz motor. The 3.3JF is available with an extremely efficient 208/240V 3 phase, 60Hz motor. 50Hz versions also available. The 3.1JF is supplied with a state-of-the-art GFCB protected control panel, model C-85. The 3.3JF, 3 phase unit is supplied with a simple to use, all inclusive GFI protected 3 phase control panel, model CF-3235. Add a Fountain Lighting Package to the 3.1JF or 3.3JF to extend its beauty into the nighttime hours. The 3.1 JF & 3.3JF boasts an innovative float design with a low profile in the water for enhanced appearance, plus an attractive decorative shape.